Guest host John B. Wells was joined by award-winning investigative reporter Russ Baker for a discussion on why so many unanswered questions linger about what exactly happened ten years ago on September 11th. 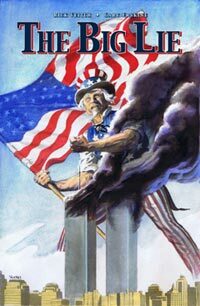 No small part of the public discourse surrounding Sept. 11, 2001, has been polluted by Truthers -- those who believe that the attacks were an "inside job," or that World Trade Center Building 7 was destroyed in a "controlled demolition," or that the Pentagon was hit by a cruise missile, despite no compelling evidence for any of these theories. Perhaps the most corrosive effect of the 9/11 conspiracy theorists is that they have distracted attention from real unanswered questions about the attacks. Here, we look at some of the most important of those questions. This is not meant to be a comprehensive list. What's in the famously redacted 28 pages? During the Bush-era, a great many Americans were swept up in the spying dragnet laid after the attacks of Sept. 11, 2001 by federal officials hoping to prevent another major terrorist attack -- people like pacifist Christians, liberal activists, families with members overseas and even street-level falafel sellers. Now Americans can add another group to the list of those who were viewed as a potential threat: the staff of Antiwar.com. Get ready for lots of 9/11 programming coming up on TV as we mark the 10th anniversary of the attack on the World Trade Center next month. 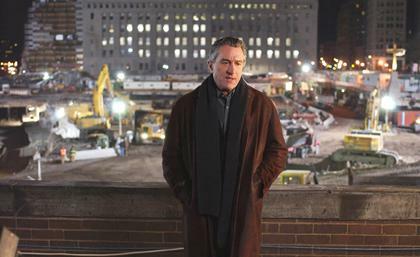 Just announced: Robert De Niro will host CBS' 9/11: 10 Years Later, an update of the award-winning 2002 film 9/11. Filmmakers Jules and Gedeon Naudet and James Hanlon were filming in a New York Firehouse when the attack happened. They kept their cameras rolling. The update will air on Sept. 11 at 8 p.m. and promises to contain the only known footage of the first plane striking the World Trade Center and the only footage from inside Ground Zero during the attacks. Nobody’s perfect. But it’s hard to think of anything as unworthy of a high-quality journalistic institution as the New York Times’ decades-long determination to never, ever, find any reason to question the original story spun by the Warren Commission on the JFK assassination. No matter how much new evidence has come out to the contrary. Ask any reporter, privately, what he or she thinks on this issue. 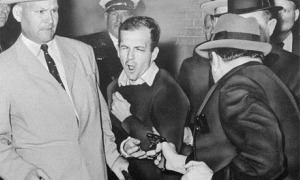 Putting aside those who will demur on the basis of not having read widely on the topic (a surprisingly large number), you’ll find most believing that the “lone nut” or “Leftist loner” narratives about Oswald are utter junk. This would certainly apply in the New York Times newsroom. It has been nearly 10 years since 9/11, and the tragedy is still on the minds of many Americans. One of those, writer and artist Rick Veitch, is convinced we haven't been told the complete truth about it. The questions surrounding that fateful day power the themes and story of his new Image Comics series The Big Lie, which debuts Sept. 7 and reteams Veitch with fellow artist Gary Erskine. Veitch structured the story similarly to the 1963 Twilight Zone episode "No Time Like the Past," in which a man uses a time machine to try to "fix" three events: warning a Hiroshima policeman about the atomic bomb, assassinating Hitler before World War II and stopping the sinking of the Lusitania. ~JuiceMedia RapNews: episode 8. It's the end of an era. The decade which opened with a ferocious attack in the United States of America, closes with the announcement of the death of its greatest and most conveniently disney-like villain, Usama Bin Laden. In a decade which has been dominated by the Empire Strikes Back, our affable and dextrous host Robert Foster invites us to scrutinise the events shrouding the killing of this twentyfirst-century Goldstein. Joining him in this May retrospective are Rap News regulars, General Baxter, the Pentagon's most effusive spokesperson, attempting uncharacteristically to stay 'on message', and his counterpart from the world of alternative academia, the conspiracy industry's favourite son, Terrence Moonseed. What actually happened in Abbotabad? Do the public have a right to see evidence of this event? What is Terrence wearing on his head? Was justice really served? What next? History is happening. We might ask ourselves how we would be reacting if Iraqi commandos landed at George W. Bush's compound, assassinated him, and dumped his body in the Atlantic. It's increasingly clear that the operation was a planned assassination, multiply violating elementary norms of international law. There appears to have been no attempt to apprehend the unarmed victim, as presumably could have been done by 80 commandos facing virtually no opposition - except, they claim, from his wife, who lunged towards them. In societies that profess some respect for law, suspects are apprehended and brought to fair trial. I stress "suspects." In April 2002, the head of the FBI, Robert Mueller, informed the press that after the most intensive investigation in history, the FBI could say no more than that it "believed" that the plot was hatched in Afghanistan, though implemented in the UAE and Germany. What they only believed in April 2002, they obviously didn't know 8 months earlier, when Washington dismissed tentative offers by the Taliban (how serious, we do not know, because they were instantly dismissed) to extradite bin Laden if they were presented with evidence - which, as we soon learned, Washington didn't have. Thus Obama was simply lying when he said, in his White House statement, that "we quickly learned that the 9/11 attacks were carried out by al Qaeda." The killing of Osama bin Laden is one of those events which, especially in the immediate aftermath, is not susceptible to reasoned discussion. It's already a Litmus Test event: all Decent People -- by definition -- express unadulterated ecstacy at his death, and all Good Americans chant "USA! USA!" in a celebration of this proof of our national greatness and Goodness (and that of our President). Nothing that deviates from that emotional script will be heard, other than by those on the lookout for heretics to hold up and punish. Prematurely interrupting a national emotional consensus with unwanted rational truths accomplishes nothing but harming the heretic (ask Bill Maher about how that works). WASHINGTON – US prosecutors compiled lots of evidence against the five men accused of having organized the September 11 attacks on the United States, but not until this week have details been fully revealed. The indictment charging self-professed mastermind Khalid Sheikh Mohammed and four others was unsealed when US Attorney General Eric Holder referred the case to the Defense Department for military trials instead of trials at a US federal court in New York. Holder said Sheikh Mohammed, Walid bin Attash, Ramzi Binalshibh, Ali Abd al-Aziz Ali and Mustapha Ahmed al-Hawsawi could have been prosecuted in federal court and blamed Congress for imposing measures blocking civilian trials of Guantanamo Bay inmates. They will be tried in military courts in the US naval base in southeastern Cuba.